Plastics Supplier of the Year! It is with enormous pride that we announce this valued achievement. 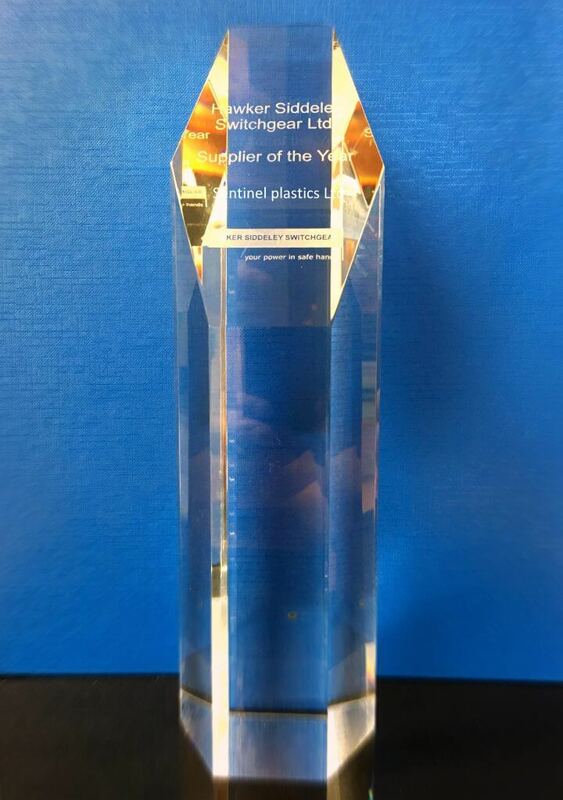 The whole of the Sentinel Plastics Ltd workforce has succeeded in attaining the Plastics Supplier of the Year award by Hawker Siddeley Switchgear Ltd. The long standing relationship/partnership between Sentinel and Hawker Siddeley has resulted in our two companies benefiting from each other’s strengths and equally supporting each other. Sentinels commitment to quality and service has been recognized by the whole team at Hawker Siddeley Switchgear, from Purchasing through to Quality and final Delivery. Sentinel Plastics Ltd is driven by the desire to supply quality plastic machined and fabricated parts on time every time. This is recognized with such an award as this from Hawker Siddeley Switchgear Ltd a significant player in global switchgear manufacture. We consider ourselves ‘The One Stop Shop’ for Plastic Machined Components and Fabrications, one of, if not the top plastics companies UK. This award reinforces that claim.